Register online or in person by January 31st and SAVE $25! Click here for BBHC details! Click Here for NBHC Details! Register online or in person by January 31st and SAVE $20! 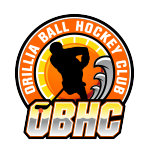 Click Here for OBHC Details! Managers Special! Register your child in person and SAVE $15! Click here for WBHC Details!